Summer Must-Haves! : Yes, we still have a month to go! Here are some great product suggestions! You are here: Home / Featured Products of the Week / Summer Must-Haves! Summer Must-Haves! Yes, we still have a month to go! Here are some great product suggestions! Let’s face it! Mom’s are busy! Stay-at-Home Moms, Work away from home Moms…it doesn’t matter..all Moms are busy! Often, exercise goes by the wayside! But, finally here is the perfect workout for busy moms! Introducing the FXP Fitness Hula Hoop® Workout! Being a mom is the most important job in the world. But when you are constantly meeting the needs of your children, your own needs often get put on the back-burner. You know the importance of being healthy for yourself and your kids, sometimes it is much easier said than done. Who has the time or energy to fit in a workout when you are running your kids all over town or if you’ve been up all night with a newborn? Help is here! Introducing, FXP Fitness! In 30 days or less, FXP Fitness will help you drop pounds and inches while having FUN, helping you get rid of that extra baby weight once and for all! FXP gives REAL moms REAL results. I received a sample of this one and what I really like about it is that it is quick! But, my favorite thing is just how much fun it really is and that it is low-impact. I don’t do so well with high impact exercising! Hula Hoop Kits- Choose from five individualized kits. Each kit comes with a collapsible hoop, DVDs, guides, carrying bag and more! Kits start at $49.94. Hula Hoop Level 1 Teacher Training-Designed for trainers by trainers, it’s the first step in teaching FXP Fitness classes. Training is $250 with discounts for groups and military. Hula Hoop Life Diet Nutrition Program-Provides access to expert nutritionists, meal planning guides, recipes, support and more. Mobile App- The perfect way to access FXP programs anywhere. FXP helps REAL moms achieve REAL results- FAST and easy! Please let me know if I can send you a sample kit or if you have a feature where this fun new exercise program could be a fit! Visit www.fxpfitness.com for more information. The next item would be great for the Golfer in the family! 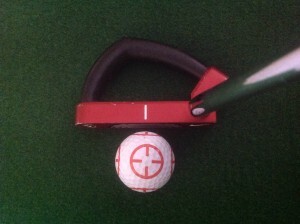 Sight Ball (www.sightball.com) a one of a kind “On Ball” golf training and alignment aide is now available for purchase. The announcement was made by young entrepreneur Harry Briggs, the creator of Sight Ball and the company’s Founder and President. Briggs, an avid golfer and industry employee with eight years of on course experience noticed that there were no golf training aides that were actual golf balls, except for simple putting alignment lines. “I figured there should be something on the actual ball to help your game,” Briggs said. “This ball helps with a golfer’s stance, focus and accuracy.” Briggs added that Sight Ball can be used to help with tee shots as well as a player’s short game and putting and can be used on a golf course whereas most golf training aides cannot. Sight Ball has six sights, or targets, four of which are used to help the golfer to correctly align themselves with the ball. One points in the desired direction of the ball, one points upward toward the golfer’s face as they look down, another at the feet to gauge proper stance, and the last lines up with the club at the back of the ball. The intention is for a golfer using the ball during practice to begin by pointing a sight toward the target and one face up toward the golfer. The golfer also looks at a sight pointing at his or her feet to get the correct stance and then lines up a club with a sight in the back before swinging. Briggs spent more than a year developing the first Sight Ball prototype. He then took it to the Washburn University Small Business Development Center for professional business development assistance. “They helped me with product design and production, Briggs said. It would take another year of research and development to create the final Sight Ball design or Method; the six sighted golf ball training aid. Further testing indicated that the Sights lined up on the ball actually did help golfers with focus, accuracy, and their stance; an ideal “in-play” and training aid. It was after the research, development, and patenting the “Method” that the Sight Ball business was ready to go this past winter. 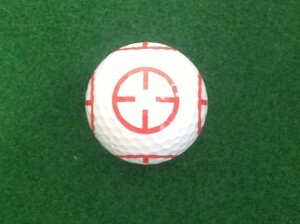 Sight Balls are now available on the company’s website, www.sightball.com. A six pack of Sight Balls retails for $14.95 with a bucket of Sight Balls, 36, retailing for $69.95. 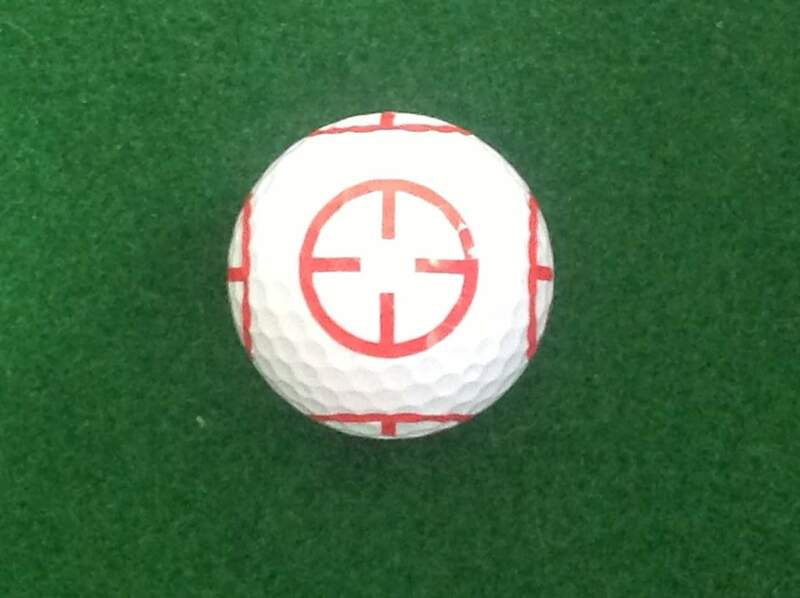 Briggs is working on expanding Sight Ball distribution to major golf retailers and green grass pro shops. “One of my goals is to get the “Sight Ball Method” on all top golf ball brands, says Briggs. Currently the Sight Ball Method is available on Top Flite balls. I received a sample and sadly have to admit that I am not much of a golfer. But, I did have a friend try this one out for me and she said she was impressed with it and how well it worked for her. She uses it for practice quite often and says it has improved her game. She highly recommends it to anyone who plays golf! Check out www.sightball.com for more information. The next one is a Must-Have for Moms and even Dads! The summer sun can be pretty intense, especially mid-day during the spring and summer months. Sitting by the pool or near any body of water can further intensify the sun’s rays. While basking in the sun may make you feel happy and relaxed, it may also make you squint, especially if you’re not wearing UV protective sunglasses. Wearing sunglasses is a “beauty must.” A wide-brim summer hat is also a good idea to keep the sun from shining directly into your eyes. A day in the sun, even just watching a tennis match or beach volleyball, can also make your eyes feel tired. A nap may help, but here’s a better idea . . . the Bausch + Lomb THERA°PEARL® Eye Mask. Itcan quickly help your tired eyes look and feel refreshed. This unique eye mask that may be used cold contains hundreds of tiny pearls of gel that contour to the shape of your face, delivering soothing relief from “beauty fatigue,” that may result from a hot, humid day and strong sunshine. This must-have beauty essential measures 9 inches by 2.75 inches, so it takes up virtually no room in the fridge or freezer. It features a comfortable band to help keep it in place. 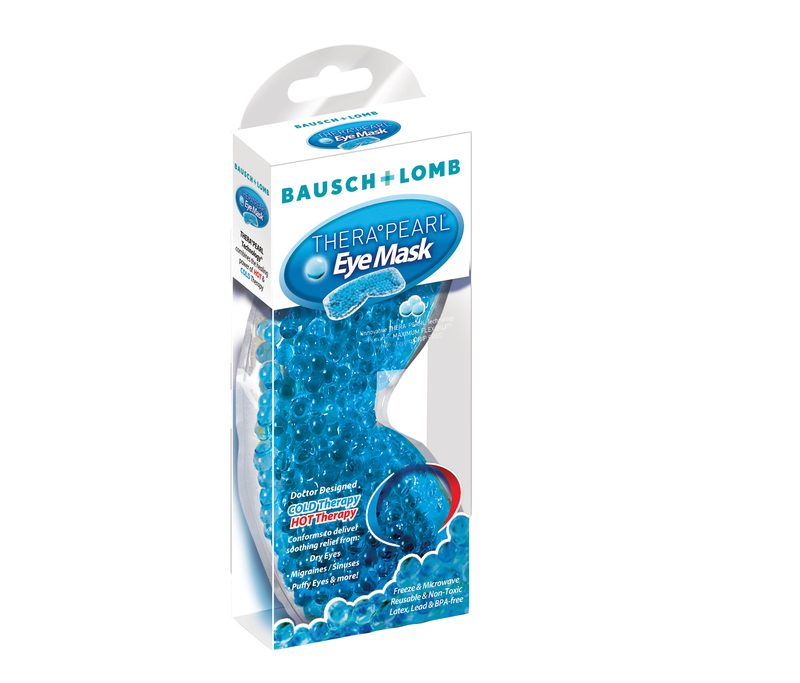 The Bausch + LombTHERA°PEARL® Eye Mask should be applied to skin or closed eyelids for no more than the doctor recommended time of 20 delicious minutes. Use it cold to help you get cooling relief quickly, leaving you ready for whatever the moonlit night has in store. I received a sample of this one and I love it! It’s small and easily fits in the freezer and it really is a Must-Have for the humid weather days we have been having! A few minutes using this one before bed and I am ready to go to sleep! It retails for $9.99 and is available on Amazon and at Target, Walgreens,Rite Aid, Kroeger, Ahold, Meijer, Harris Teeter and Publix. The next one is great for the family! I think teenagers and college kids will love this one too! Summer is here! You’re probably already in the swing of summer picnics, family gatherings, backyard barbecues and pool parties, which means you’ve opened your fair share of water bottles, beer cans and other beverages. You might have experienced a chipped manicure or other struggles in the process, but I have good news for you. With the magic Opener, these mishaps are worries of the past! This one is super easy to use and it works great! I like that it is portable and it is very kid-friendly! And, to top it off..it is even magnetic so you can stick it on the BBQ or anywhere else you may want to keep it. It is quite affordable too! Retails for $19.99. 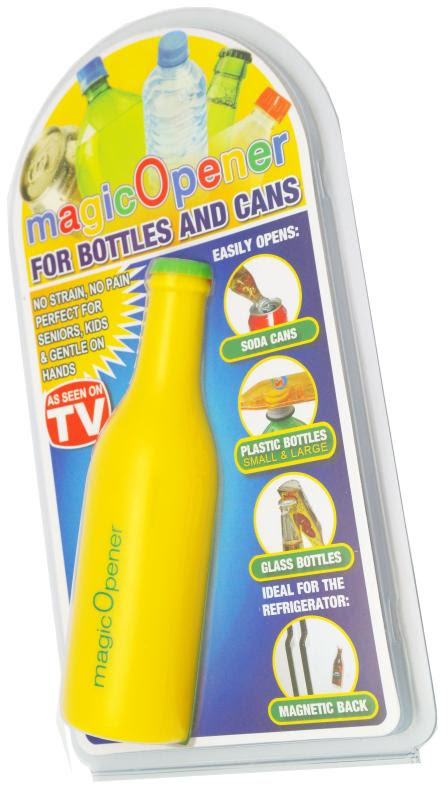 If you’re concerned about bigger jobs, try the magic Opener Extreme, which combines all of the benefits of the original magic Opener and the added benefit of being able to open large pull-tab food cans (i.e. pet food, soups and sauces). It retails for $24.99 at www.magicopener.com. Self Disclosure: I received free samples to facilitate this Summer feature post. Any opinions expressed are my honest and my own. No other compensation was received to post. Photo Credit/press info: FXP Fitness, Sight Ball, Bausch + Lomb and Magic Opener.